Environmentalists in Kodagu, who have been demanding more regulation of the tourism sector, have raised the red flag as one of the most visited hill stations in Himachal Pradesh reels under a severe water shortage. Locals in Shimla pleaded with tourists to stay away and look at other summer vacation options. Col CP Muthanna, president, Coorg Wildlife Society and coordinator, Save Kodagu and Cauvery Campaign, had written to the Secretary, Department of Tourism on the need to regulate tourism in Kodagu district. Activists want to prevent Kodagu from becoming another Shimla. They want the new government to put in place regulations as tourism and development projects have already destroyed the town, they feel. Col. Muthanna has pointed to examples of tourism destroying the ecosystem -- Rampant and unregulated tourism was the primary cause for the Uttarakhand disaster and also for the more recent devastating floods in Kashmir Valley, he has written. 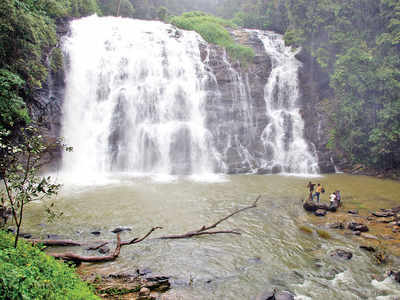 In Kodagu, spots such as Irupu, Abbey falls, Chelavara and Dubare are choked with tourists during weekends. “While Kodagu has a population of 5.5 lakh, the number of tourists goes up to 13 lakh,” Col Muthanna stated in the letter. He has also given some possible ways of regulation. He said passes are issued for only 150 persons a day to visiting the Gangotri glacier, the origin for the Ganga river. Those who want to visit the Gir forests in Gujarat to see the Asiatic lion, book in advance and only a fixed number of passes are issued in a day. He has suggested that a similar arrangement of issuing a restricted number of passes at some tourist spots in Kodagu is a must. May of the spots have become garbage dumps and also the scene of unruly behaviour when the crowds are excessive are common. “We could also consider a pass system for Bhagamandla and Talacauvery in order to maintain the religious sanctity of these places. There has to be some practical arrangement by which locals will have easy access and will not require passes if they provide some sort of an identity card,” Col Muthanna observed. Kodagu may receive heavy rains during monsoons, but it is also prone to water stress if the ground water is over exploited. This is because Kodagu is a hilly region and all water including underground water channels are constantly flowing away from Kodagu. Resorts claiming to be ‘eco-friendly’ are drawing water from borewells close to Kootpoley at Galibeedu near Madikeri, while locals have to pay for water tankers during summer. Most resorts also dispose their garbage by flouting all norms of waste segregation. “The district administration must arrange for an audit for water and waste and sewage management for all the resorts in Kodagu. In case of severe water shortage during summer, the Deputy Commissioner may have to place restrictions on the operations of resorts, in the larger interests of the district,” Col. Muthanna noted.